I am a classical pianist and want to make some studio quality home recording (mostly advanced classical music plus some jazz). I recently bought an almost new Steinway D grand piano that was previously used briefly in a concert hall and played by renowned soloists, so a top instrument with warm, rich and delicate tone. The room is not perfect but this will not pose a problem since I intend to close-mike the piano above the strings. Further, I already have a Focusrite Clarett 4 USB audio interface. I presume this is not a match for the instrument/microphones. My dilemma is simply this: should I buy a separate 2 channel mic-preamp + A/D converter (I would still need a USB connection to PC - could I use my Focusrite Clarett for that?) or an all-in-one-box solution (a really top-notch USB interface)? On this site I read about Antelope Pure2 A/D converter. Is this a viable alternative? What kind of a price range am I looking at for the preamp+converter to match the mikes and to make real difference in recorded sound (and which models do you suggest)? mikrokozmos wrote: Further, I already have a Focusrite Clarett 4 USB audio interface. I presume this is not a match for the instrument/microphones. I'm not an expert at piano recording compared to some of the others here but I think that you will find that your audio interface is fine. You will probably have to spend a great deal of money to improve on the sound and any improvement will be small. You'll do far better to spend as much as possible on microphones and room treatment (even though you intend to close mic, treating the room appropriately will give you more options). I'm no expert (I'm sure John Willett will be along in a bit, he is an expert on piano recordings), but I suspect that with a Clarett and a couple of decent mics, you'd be best spending the rest of your time/money making your room as good as you can possibly make it. Even when close miking I'd expect that to have far more impact on the sound quality than going up another level of pre-amp. Others may disagree, in which case listen to them. EDIT - James beat me to it! Another +1 for room treatment (and another welcome). Treating the room to achieve the best acoustic sound makes a huge difference to the recordings made in it. It can be done using materials that will fit in with almost any decor and for a surprisingly modest cost. You have a large (by most standards) budget and a superb instrument to record, saving a few hundred £/$/€ on room treatment would definitely be a bad idea. Get the room right and those expensive mics can give their best and you have more options than very close miking (which doesn't always produce the best sound). I specialise in piano recording (as has been said) and have recorded a Steinway D many times. My first choice nowadays is the Gefell M 221 omni. I don't know the US price, but I think this should just about get inside your limit. Make sure you specify a matched pair when you order and Gefell will pair-match with no extra cost. There are several dealers in the USA. I also like the Sennheiser MKH 20 and 8020 and have also used the Neumann KM 131-D (there is also the KM 131-A version, but I have not used that). I have done several recordings with the MKH 20. Others to consider are the Josephson C617set (uses the same nickel diaphragm measurement capsule as the Gefell M 221) and some people also like the Schoeps omnis. Though my personal favourites are the M 221 and MKH 20. For positioning - get someone to play the piano and you move around the room listening carrefully at various positions and distances - where it sounds best to your ears is a good starting position for placing the microphones. Sam Spoons wrote: You have a large (by most standards) budget and a superb instrument to record, saving a few hundred £/$/€ on room treatment would definitely be a bad idea. Get the room right and those expensive mics can give their best and you have more options than very close miking (which doesn't always produce the best sound). You will have to be *very* careful with room treatment as a piano room is a performance spase,m rather than a recording studio, and you need to get the right balance. You really need a professional acoustics expert to design the room treatment required, and doing this properly won't be cheap. Clearly you should listen to JW rather than me, he has far more experience and knowledge. This has been largely covered. A good matched pair of SDC Omni directional mics would be standard approach. I’ve successfully used MKH8020 and also KM183 (vertical orientation). The interface will be the least of your problems and as has been noted improving your room acoustics will be of paramount importance. If you’re at all serious ( and given you’ve just bought Steinway D - you probably are) then a professionally designed acoustic space will be critical. You simply won’t fix problems with the room by close miking or trying to treat the room yourself. All the OP said was "the room is not perfect". Do we really know how good or bad is the room acoustic? But he’s proposing compromised mic positioning because of a sub-standard room acoustic. Just for the record, spaced omnidirectional microphones in a good acoustic are a preferred method for classical piano. Lots of good articles on the SOS website. Positioning would generally be ‘in the room’ - i.e. not too close. I would certainly agree with Bob, John W and the others who have stated that you should sort out the room acoustics. For classical piano, recording close to the strings is not usually a technique used, but it is however, often used for jazz, especially if you have added instruments such as a jazz quartet/quintet etc. Usually the closest the mics are for classical piano is just outside the lid, but some prefer a little more distance, and of course this all depends on room size and the acoustic especially with regard to reverberation. The Steinway D is a very reverberant instrument, full of overtones, as you as a pianist will be very aware of. To capture this instrument accurately the room acoustics and their treatment are vital. If you no doubt work with other instrumentalists as well, you will need the acoustics to be tamed so that a good balance and mix with the piano can be obtained, even if this is just with one instrument like a violin or cello. Thanks guys! Lots to think about, everything you said makes perfect sense. I shall focus first on getting decent mikes, then start experimenting with the positioning and room treatment. I was wondering what are the approximate dimensions of the room you are planning to record in. These could have a large bearing on such things as the placement of the piano within the room, mic choice and placement, and room treatment. There's no point in an 'in the room' recording if the room sounds bad. And, although you MAY be able to tame what's bad about the room, adding 'good' room sound is quite another matter. Practically, you may have to close-mike and fake the 'room'. Purist techniques are only applicable when the source is faultless. What mics have you got already? I suggest a lot of experimenting with mic positioning before you spend big money. So I assume you have a New York, rather than Hamburg crafted instrument. I have played Model Ds, from an early age, in all types of settings, and they can overwhelm a small space, but it depends on what you are playing. For example, the Chopin Polonaise in F-sharp minor, Op. 44, is going to tax an acoustically poor space, whereas a Bach Partita will probably be fine. What I would suggest is that you initially hire a recording engineer, e.g. John Willett or someone in the States who specialises in piano recordings, and see how they get on. Some final thoughts, which I know are obvious, is that recording yourself alters your performance, at least initially, unless you are used to being recorded regularly. Also, are you happy with the pitch your instrument has been tuned to by your piano technician and is everything in tune? Playing big works will knock your piano out of tune, so factor in visits by your technician. 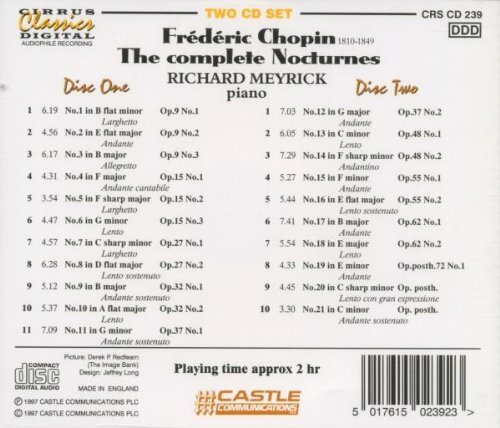 I will say, that I once recorded a double CD of Chopin Nocturnes on a Steinway D that was in a room in a domestic setting. If you want to hear it, it is still available on Amazon HERE. I have posted this, not for self-promotion, but what you can acheive in a not optimal recording environment. The microphones were quality omnis and about 2-metres from the piano - but were in a completely different position from what I would normally use because this was the best place in the acoustic. I just ordered the last one in stock John! 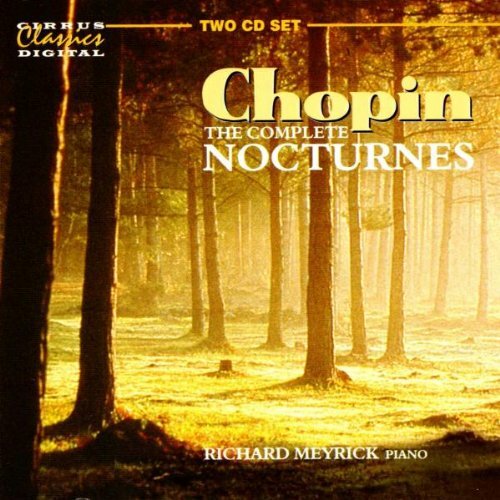 I'm looking forward and very curious to hear this Chopin Nocturnes recording to see what can be achieved in non-ideal acoustic space. I'm in the market for a couple of spaced omni's myself for recording classical piano (Yamaha C7) which is in my living room with all sorts of problems for standing waves and resonances. Acoustic treatment is out of the question without being on receiving end of divorce papers:) For now (and far from ideal), I have piano positioned where the best balanced sound is from where I sit at the piano stool because this allows me to control my playing and the nuances better in my performance. I have a couple of cardioid DPAs' just outside the lid. It's clean, but little acoustic space or ambience for the piano to breath, so I artificially add a nice reverb using my MixPre. Results are actually not bad but obviously its never gonna be like the Carnegie Hall! I'm certainly not as experienced as many on this forum, but I wanted to add two thoughts to this discussion. Is there a reason not to add more mics? ("It's just not done," is certainly a reasonable answer!) Maybe it'd just be redundant. I know it'd cost more (it's just money, right?) but good mics can be rented for projects as well, so it's an option. Just a few thoughts, but if these ideas are inane, I certainly submit to more experienced minds. Paul Isaacs wrote: I just ordered the last one in stock John! Cheers Paul, I hope you like it. It was recorded quite a few years ago now on an extremely low budget from the record company. It was recorded over a couple of days in the "music room" of a large house (obviously, since they could afford a Steinway D) - it was a modern house, not an old one, so the ceiling heights were lower than an old house. I tried several positions in the room with both MS and spaced (20cm) omnis. The omnis definitely sounded best and the final position was behiond the pianist - behind his right shoulder and a little to the right. Oh - the room was totally untreated and just a room in a house with a piano in it; though we did move the piano from it's normal position to get a better sound in the room. The pianist was very happy with the result, as were also the record company. Exalted Wombat wrote: There's no point in an 'in the room' recording if the room sounds bad. And, although you MAY be able to tame what's bad about the room, adding 'good' room sound is quite another matter.